After a great summer at Camp Judaea, my family and I set off for Israel. Friends and family joined me on August 7th at the Kotel as they helped me put on Tefillim for the first time. It was a meaningful moment in my life. Â The following day we left for a trip around Israel starting with a day on the Kineret and a couple of nights in the Golan Heights. What started as a celebration quickly became a nightmare for my family. On our first night in the Golan my sister became very ill. She would go on to be treated in two hospitals over 16 days. Somehow this terrible situation was wrapped in blessings and miracles. Over the next few weeks my family was helped by wonderful people - friends and strangers, Jews and non-Jews, and many in between. My sister received amazing medical care, prayers, delicious food, and my parents built new friendships. 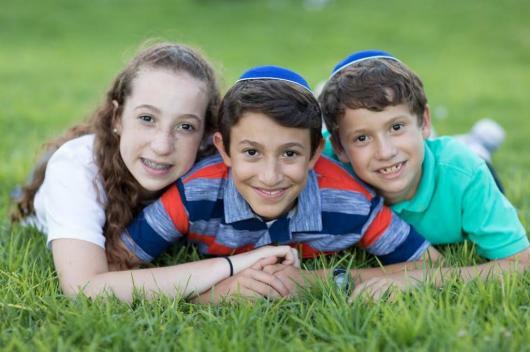 In honor of the incredible people who helped save my sister Sofia with gratitude to Hashem for Sofia's healing, in lieu of gifts, I would like to raise money to help others in their time of need. With this in mind I have started a Bar Mitzah project to fundraise for Hatzalah. Mazel Tov That you will be a great leader full of joy and happiness. Keep up the good work Jaime! Very happy your sister is ok. This donation is in honor of Corina Gary's wedding. We wish them a lifetime of happiness, health, joy and meaning. Mazal Tov! Mazel tov to you and Corina too. Mazel Tov to Cori & Gary on their nuptials. A lifetime of love and blessings to them. In honor of Corina and Gary's upcoming nuptials and Jaime Biton's Bar Mitzvah! Mazal Tov Mazal tov!!! Sorry that we could not go the kidush. Mazal Tov por tu bar mitzva!! Te felicito por la manera tan espectacular de leer la TorÃ¡! Mazal tov Jamie !!! May you and your family be bless with lots of naches and health. What you doing is a great Mitzvah.... May hashem protect you all. Jaime, El mundo necesita muchas personas como tu con un corazon tan grande como el tuyo. Mi familia y yo estamos felices de poder aportar a tu proyecto. Gaby,Bernad y Briella. Jaime you are an amazing kid that works hard for his goals you will reach all of them and as I see you have the wisdom to make the right decisions. Nothing like the the gift of giving. Jaime, we are so incredibly proud of who you have become & excited to see all the wonderful, meaningful things you'll be doing. Mazal Tov to all! Jaime, we're proud to see you grow up to become a smart and kind young man. Work hard and you'll do great things in life. I'm sorry we can't be there to celebrate with you tonight. Congratulations on this important and happy occasion. We love you! From Luna and Rupert. I really admire what you're doing. I'm proud to know you and your family, I know you will become a great man one day. Many blessings for you and your family. mazel tov!!! may we share many more simchas! Mazal Tov on you bar-mitzvah! You are certainly maturing into a kind young man and your efforts to help others prove that. May you continue to be a light unto yourself and others. Mazel tov on your bar mitzvah and what a wonderful mitzvah project!!!! Jaimie, mazal tov from your cousins in Israel. Folks that weren't with you in Jerusalem may not know a secret talent of yours. Your were a wonderful tour guide in the tunnels under the Kotel. May you and your family continue to be blessed by those around you. Mazal Tov! What a beautiful way to honor your Bar Mitzvah and Hebrew birthday!! I'm so impressed by your selfless decision to help others and support Sofia. Congratulations! thanks for helping others jaime! your friends at lehrman love you. 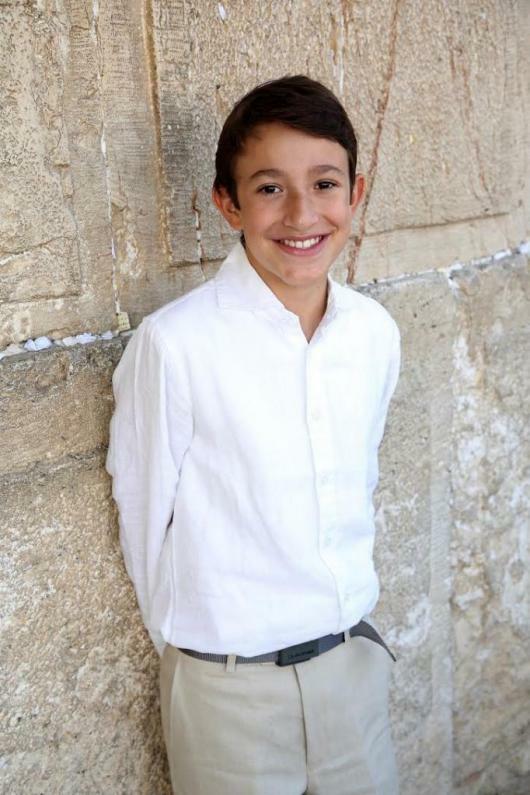 Mazal tov Jaime on your Bar Mitzvah and this amazing mitzvah project you have created!!! Mazal tov Jaime! You're such an inspiration for the whole community! May you always give nachat to your parents, siblings, grandparents and all Am Israel!!! Mazal Tov! What a beautiful mitzvah to take on! So proud of you Jaime! And so grateful that Sophia is doing better! Sending you and your family so much love! Jaime, yasher koach! You are an example to follow. Mazal tov!